So ladies and gents I clearly have an announcement to make! LOL. The Beauti Bank have become London’s first mobile MediHeel provider. 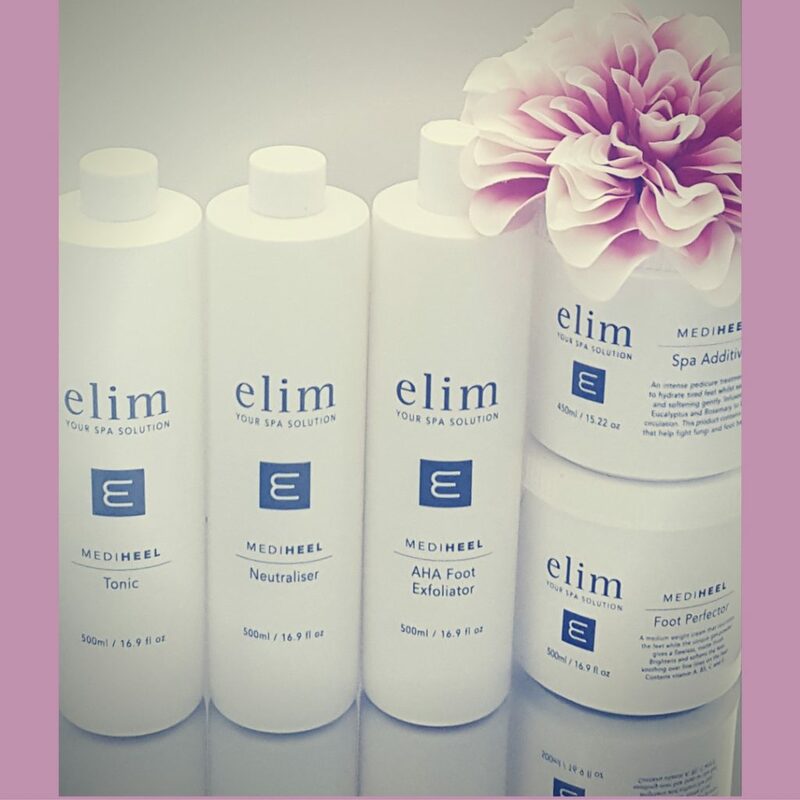 Elim Spa are the creators of MediHeel. They are a South African company by origin with a UK distributer. Their products are scientifically created for the body and so their products are some of the best I’ve come across. We are estatic to be offering the medi-pedi of your dreams that leave your feet feeling AH-MAZING! Only the best will do for you my beauties! 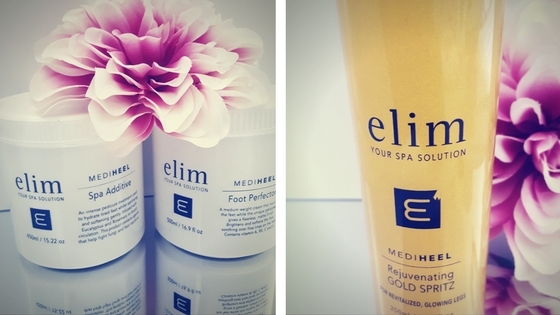 To put it simply, MediHeel is a medical style pedicure that makes your feet look and feel absolutely fabulous. The pedicure includes a chemical peel and scrub that removes dead skin like no other. The process starts by applying a chemical solution to rough skin, particularly on the heels. The solutions penetrates the skin and starts to lift it the skin. The skin is then removed with a spatula. That’s your hard skin gone! Yes that’s right AT THE BEGINNING! No time wasting, straight to the point! This step is what separates MediHeel from other types of systems and it might be the key as to why the skin on your feet maybe getting harder quicker than you would like in addition to being awesome. If you are brave enough to have your skin scrapped off by someone other than a chiropodist, kudos to you. It may go too far, their equipment may not be sterile. That risk level is a little too high for me and as a result, it might put my wellbeing at risk, NO THANKS. MediHeel is different. Once the skin is chemically removed your skin is neutralised and return to its regular pH. If skin is not neutralised, it will dry out. Is your skin being neutralised during your pedicure? If not, this could be the reason that your skin is hard and this is the solution. The MediHeel pedicure is the skin peel for your feet because it uses the same Alpha Hydroxy Acid that is used in a facial skin peel. That’s more dead skin coming off your feet! 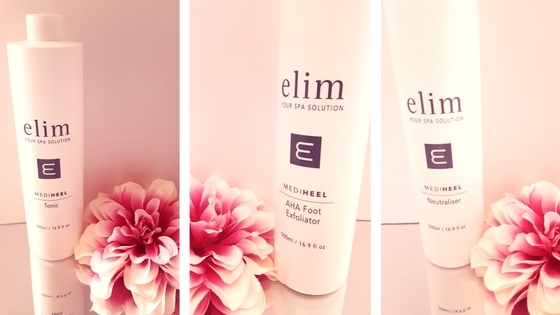 Your feet get dunked in water with the Elim Spa Additive. The eucalyptus and Rosemary combine for a fragrant smell and a refreshing feeling and your feet are super soft by this stage anyway. This pedicure is a winner in every sense of the word. It’s different, it’s innovative and most of all…it works! 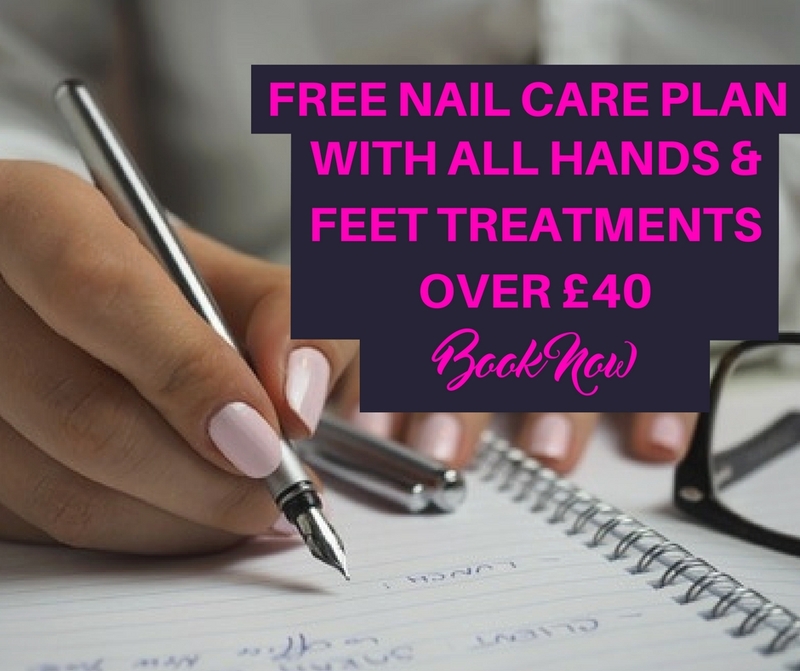 Our free nail plan offer also applies when you buy a Medi-Heel Pedicure for £45 because feet need treats too and its over the minimum £40 spend. Everyone needs a bit of luxury in their life from time to time! I hope you’re as excited as we are! Let’s get these feet looking brand new people!